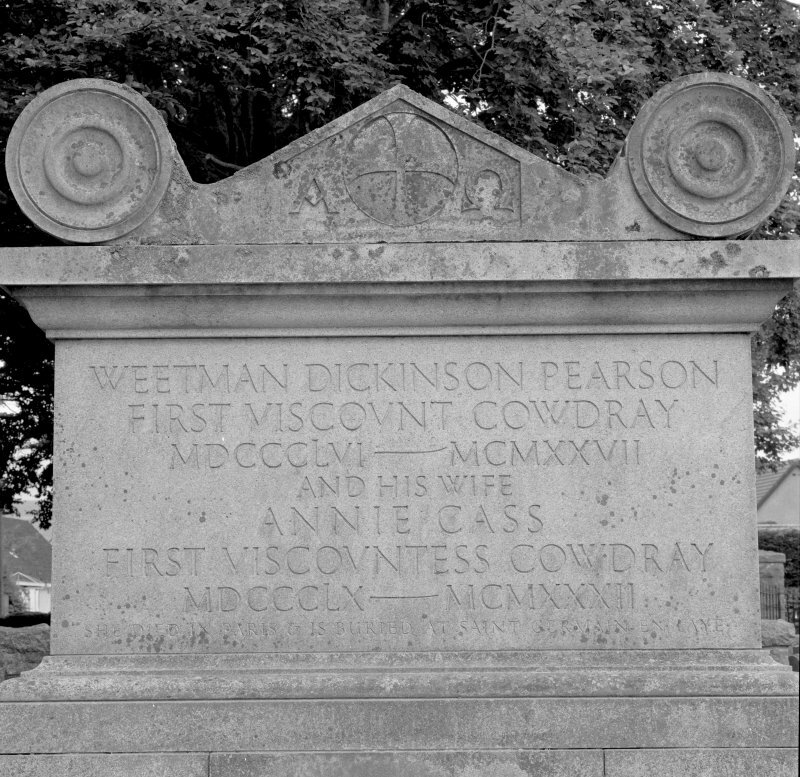 Description Detail of inscription "Weetman Dickinson Pearson. First Viscount Cowdray. MDCCCLVI-MCMXXVII. and his wife. Annie Cass. First Viscountess Cowdray. MDCCCLX-MCMXXXII. She Died in Paris & is Buried at Saint Germaine en Laye""
>>>>> Item Level (SC 1378694) Detail of inscription "Weetman Dickinson Pearson. First Viscount Cowdray. MDCCCLVI-MCMXXVII. and his wife. Annie Cass. First Viscountess Cowdray. MDCCCLX-MCMXXXII. She Died in Paris & is Buried at Saint Germaine en Laye""